Aren’t wireless networks wonderful? So convenient to use, flexible and cheap to deploy, they’re great! No longer are we tied to our desks by the network, keyboard and mouse cables. Wireless technologies enable laptops and other mobile computers to be connected to the corporate networks and the Internet, while distant locations can be linked-up using microwave radio over point-to-point or satellite links. Travelers use public WiFi hotspots or 3G USB sticks to keep up with email and social networks while on the move, and use GPS geolocation/mapping systems to find their way. Organizations use RFID tags to monitor valuable items, track their mobile inventories and manage logistics. Most of us these days rely heavily on our mobile phones and PDAs which are, in fact, sophisticated digital radios using the 3G and other wireless networks. Many of us have Bluetooth headsets and other gizmos. Wireless is literally all around us. While wireless technologies have tremendous business and personal benefits such as convenience and ease of use, there are some serious information security risks that need to be adequately addressed to avoid eroding or completely negating the benefits. Simply buying a WiFi access point from a local retailer, plugging it into the network and carrying on as before is probably not A Good Idea as far as network security is concerned, yet this is pretty much how many home WiFi networks are set up in practice. Scary! 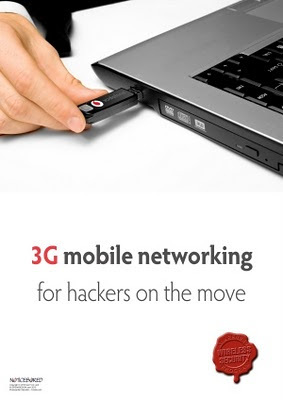 Hackers enjoy the benefits of wireless technologies too, whether that’s connecting to the Internet via someone’s insecure WiFi setup or via a 3G modem. WEP and WPA encryption schemes and MAC address filtering are no real impediment to WiFi hackers intent on stealing credit card numbers from retail outlets, while insecure Bluetooth headsets are evidently an open invitation to snoop on the conversations of random passers-by. Furthermore, radio interference whether accidental or deliberate can disrupt wireless circuits. This month's NoticeBored security awareness materials explore the information security gotchas undermining a variety of widely-used wireless technologies, discussing the security countermeasures necessary to bring the risks under control without destroying the undoubted business benefits that wireless brings. Click here to find out more. While the editable security awareness materials are only available to paying customers, everyone is welcome to the free newsletter with our compliments. If a newsletter is all you really need for your awareness program, go for it!